Three special guests join us for tonight's broadcast. Joshua Roseneau is an evolutionary biologist and serves as Programs and Policy Director for the National Center for Science Education (NCSE). Dr. Barbara Forrest is a professor of philosophy at Southeastern Louisiana University and author of "Creationism's Trojan Horse: the Wedge of Intelligent Design." And Dr. Donald Prothero is a paleontologist, geologist, educator and author of over 30 books, including "Reality Check: How Science Deniers Threaten Our Future" and "Evolution: What the Fossils Say and Why it Matters." 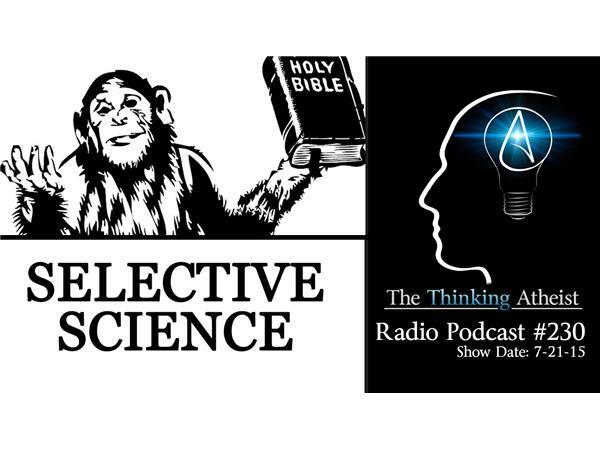 Our panel discusses how Creationism's champions either distort or misuse "science" in an attempt to co-opt the public into believing Intelligent Design.